thickcrust.com: Google News - Why do you tease me so? 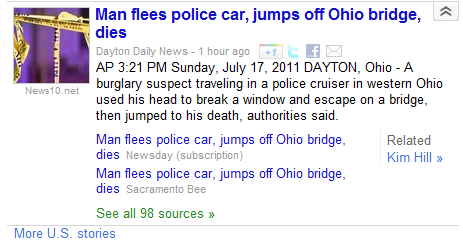 Google News - Why do you tease me so? Uses his HEAD? On one hand, it's so badass it could only happen in Ohio. On the other, it's so meatheadish it could only happen in Ohio. Was the suspect related to either of you? I'm just sayin.